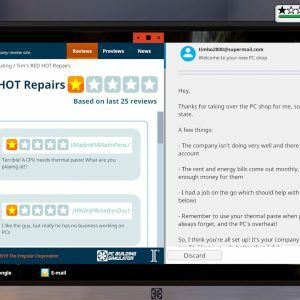 Hello everyone, today you can finally download PC Building Simulator for Windows 10 and experience one of the most realistic simulation games out on the market, period. With this new game, you can actually learn how to build your own PC and try it in real life after playing this game, that’s how convincing the game is, so to say. Today we will highlight some of the reasons why you should go ahead and give PC building simulator for Windows 10 a try. This game was announced back in early to mid 2017 but it was officially launched and released to the public on January 29th 2019. The game was worth the short wait and the graphics especially are great. 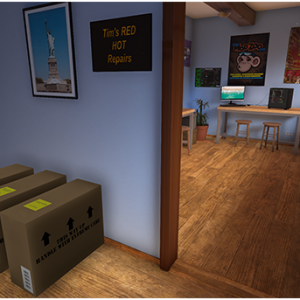 The main concept of this game during single player is that you are basically some guy/girl who decided to start his/her own computer repair shop that can eventually one day be an enterprise. In the process as you learn how fix certain issues on PC’s you can also build your own PC with different wallpaper skins for how it looks, different parts to include, different processors to choose from, RAM, PC case, whatever it is that you need to build a PC in a game, this game has it, if it doesn’t luckily the game is an on-going development meaning they will release patches and upgrades through Steam whenever they change or add something new. Let me know what you think of this unique game, like it? Didn’t like it? What Is PC Building Simulator About? PC Building Simulator lets you build your very own PC empire, from simple diagnosis and repairs to bespoke, boutique creations that would be the envy of any enthusiast. With an ever-expanding marketplace full of real-world components you can finally stop dreaming of that ultimate PC and get out there, build it and see how it benchmarks in 3DMark! 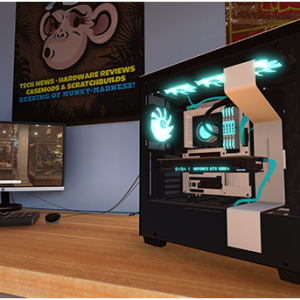 PC Building Simulator will allow you to experiment with a large selection of accurately modeled, fully licensed parts from your favorite real-world manufacturers. Build your PC from the case up with your favorite parts and express your building flair by choosing your favorite LED and cabling colors to really make it stand out. Choose from a range of air and water cooling solutions to keep it cool or even go all out with fully customizable water cooling loops! 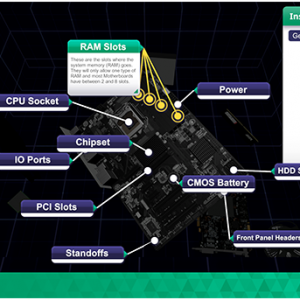 Once your rig is ready to go, turn it on and see how it benchmarks. Not happy with the results? Jump into the bios and try your hand at overclocking to see if you can get better results without breaking anything! Customers will provide you with a range of jobs from simple upgrades and repairs to full system builds which you must complete while balancing your books to ensure you are still making a profit.